Curlers win gold: (Update, March 26, 2017) Canada’s best women curlers, Team Homan, defeated the Russian team at the World Women’s Curling Championship in Beijing to bring home gold. Canada’s best women’s curling team has strong uOttawa connections. Both Rachel Homan and Lisa Weagle studied here and their coach, Adam Kingsbury, is a clinical psychology resident. Polished performers and competitive athletes with three Canadian championships (better known as the Scotties Tournament of Hearts) among their many wins, this Ottawa-based team is currently vying to become the world women’s curling champion. And Team Homan is primed to bring home the prize. Before departing for the world curling championship in Beijing, being held from March 18 to 26, 2017, the Gazette caught up with two members of the team. We asked them what they’ll take with them from uOttawa. 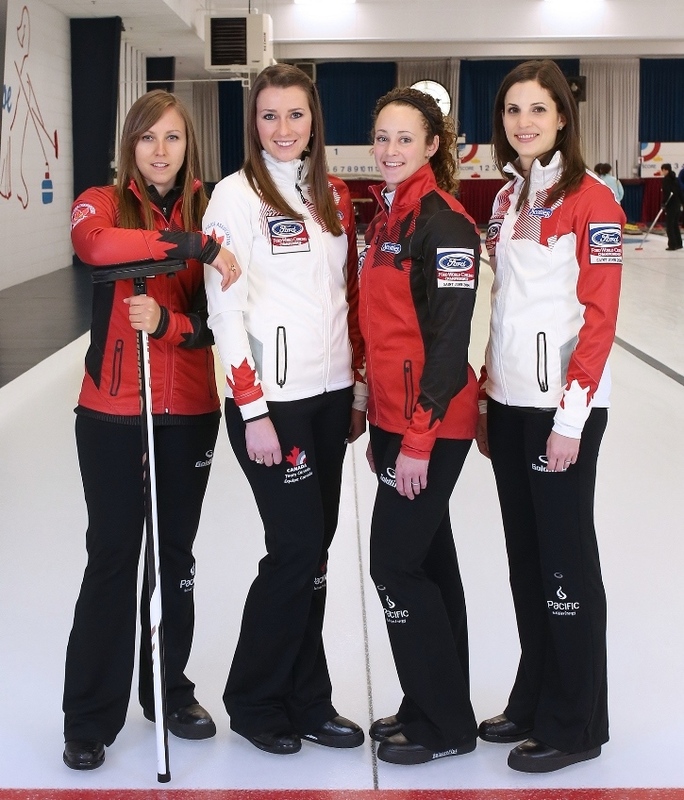 Lisa Weagle, BA ’08 (Communication), is the lead on Team Homan. She also works as a communications advisor with Sport Canada. Adam Kingsbury, a PhD resident in clinical psychology, is the coach of the team. He’s also the mental performance specialist for Curling Canada’s National Team Program. 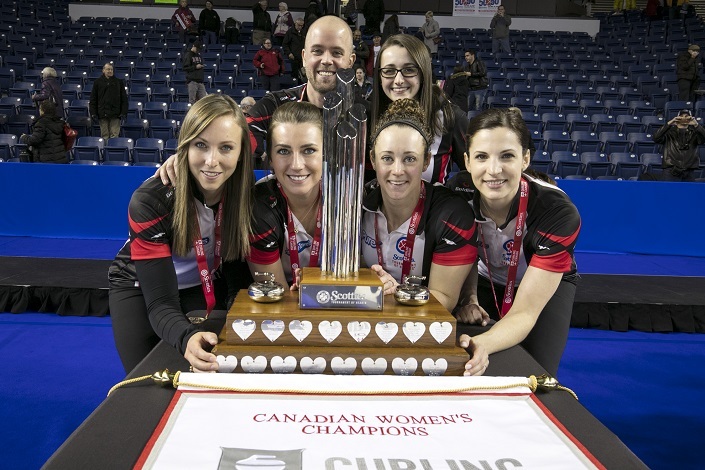 Making up the rest of Team Homan is skip Rachel Homan, BSc ’11 (Human Kinetics), who was named the playoff MVP at the recent 2016 Scotties Tournament of Hearts in St. Catharines, Ontario; Emma Miskew (third); Joanne Courtney (second); and Cheryl Kreviazuk (alternate). Incidentally, Kreviazuk’s sister Alison, BA ’10 (Leisure Studies and Psychology), was a long-time member of the squad and helped it win two national titles (and bronze and silver medals at two world championships!). Currently, she is head coach of Team Sweden’s mixed doubles and juniors teams. Recently, her junior women’s team won gold at the world championships in Korea.